#ATMRP adds up to the festive spirit of Mumbai. 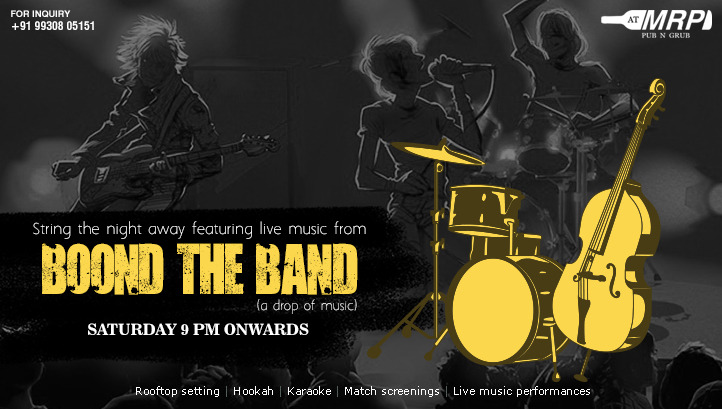 Gracing the stage with their fusion beats and intense energy is our kickass band, #Boond all the way to light up your weekend. Unwind the hustle, and relax through the evening with some lip-smacking exotic dishes and chilled alcohol at mrp to beat the heat. You wouldn't want to miss this edition. See you there!